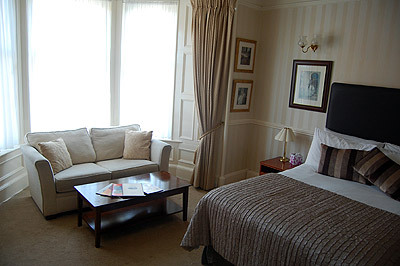 Our rooms have been restored to a very high standard. While maintaining their original period elegance. Television / towels and toiletries/ hairdryers in all rooms, some rooms have fridges. 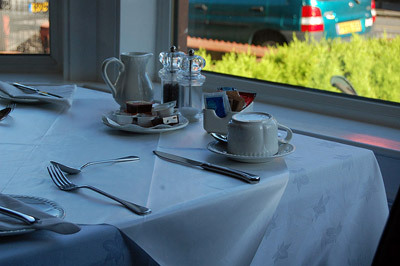 Breakfast is served in our relaxed, sunny breakfast room. Try our Full Scottish breakfast or sample a wee taste of haggis (veggie available) or black pudding. At The Conifers we use the best Scottish produce. 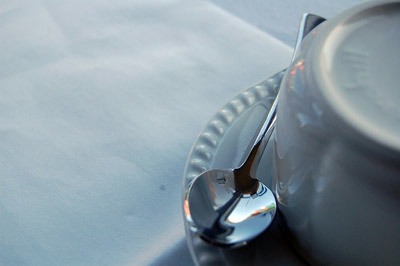 Tea: Earl grey, Herbal or Fruit teas, Decaffeinated tea. Coffee: Fresh ground, Decaffeinated, or Instant.